Definition – What is Process Consulting? Everything a business does involves processes that are designed to achieve a certain result. But sometimes, those results aren’t what we would like them to be, and we realize that it is time to ring some changes. Process consulting means the analysis & improvement of company processes by a 3rd party expert. By making processes more efficient, process consultants help to reduce time spent in meetings, resolve conflicts, and improve efficiency. There are various sub-branches of process consulting, including IT process consulting, which focuses primarily on streamlining IT processes. Other process consultants may have industrial psychology qualifications and will have a greater focus on group dynamics and interpersonal interaction. Regardless of the consultant’s background, process consulting has the overarching goal of improving workplace efficiency by helping businesses to optimize workflows. To a large extent, process consulting consists of facilitation or coaching rather than saying how things should be done. After all, a consultant is an outsider, and can’t “lay down the law.” During process consulting sessions, key team members discuss the issues that gave rise to the intervention, asking questions and providing information that helps the team to solve its own problems. The mix of coaching and mentoring the consultant employs depends on his or her consulting style and background. In a mentoring role, consultants provide information, whereas coaching consists mainly of asking questions, listening and paraphrasing in such a way that solutions become apparent to the team members themselves. Most businesses start small and coordinating work is relatively easy. But as businesses grow, they become complex, and what was a perfectly good way of getting things done in the past becomes increasingly cumbersome and inefficient. This not only impacts on organizational profitability but also causes a great deal of workplace frustration for the employees who have to navigate the business process. Decision-making processes may be too slow, too much or too little responsibility may be allocated, and knowing that things aren’t running as smoothly as they could demotivate people and leads to conflict. The habits of years can be hard to change, and when your team is accustomed to doing things in a certain way, they may find it hard to think out of the box and come up with efficient solutions. A consultant can help them to take a fresh look at processes. Business leaders and managers see the need for process consulting because of a specific problem they have identified. For example, customers are unhappy with lead times, or process costs are increasing while potential profits wane. Whatever the problem is, it is the starting point for process consulting. Every problem has a cause, but the first cause you identify may not be the root cause. For example, the time needed to prepare and dispatch an order is too lengthy, but the reason why it takes so long is that there is poor communication between the dispatch and sales teams. This, in turn, is the result of another glitch in the workflow, and so on. As a result, process consulting helps teams to reconsider entire process flows that have become problematic. Of course, the whole idea of process consulting is that it will lead to change and improvement. If the team is not committed to this, the intervention will not succeed. A consulting intervention is much like a Kaizen Event in that the goal is continuous improvement. Once changes have been implemented, they will also need to be fine-tuned, and because businesses and their environments are not static, the process must be revisited periodically to see if there is room for further improvements. Since there invariably is, process consulting leads to a process of continuous improvement that continues long after the consultant’s intervention is over. Although the consultant will look at team dynamics and attitudes, he or she isn’t there to perform a “soft” intervention. The consultant deals with a real problem which has real causes, most of which are not the fault of the people, but the process that is leading to a flawed outcome. When evaluating a process, hard data is needed. Just laying out the process doesn’t indicate the problem areas. There must be information on how it works in reality. A process that looks great on paper may not work as well as it should when it is put into practice. The hard data is a powerful tool, both for the process consultant and for the team that must contribute to the process. Do You Need a Process Consultant to Help Evaluate Processes? There are times when a facilitator from outside the organization can help teams to evaluate and improve processes. Because people who are working at the metaphorical coalface “own” their work, they can become defensive or even angry in process improvement meetings. Discussions can get bogged down in minute details that don’t really contribute to the process, or people may withhold their real views for fear of causing offense. There may also be a difference of opinion as to the problem’s causes and the best solutions that lead to an impasse. The consultant helps teams to overcome these issues. This having been said, a committed team can solve its own problems provided it is committed to doing so and has sufficient hard data at its disposal. Although a “fresh pair of eyes” can be helpful, and open mind and a desire for business excellence will go a long way towards problem-solving and process improvement. As we have seen, cooperation and data are vital to process improvement. Tallyfy has many benefits for teams who are improving workflows and processes. Managers can use it to evaluate existing processes. They can also use it to implement and test new ones. Automated, real-time task allocation, data gathering, and analysis allows the team to surgically pinpoint just where the root of the problem lies, helping them to devise and implement solutions much more quickly than they otherwise could. Process consulting has its benefits, but ultimately, it’s the company and its people who work together to identify and solve problems. Tallyfy provides them with the tools they need. If you’d like to see how Tallyfy can help you with process improvements, simply tell us about what you want to achieve. We’ll prepare a customized demo at no cost to you, so take the first step towards agile business process management today. Pages related to - Definition - What is Process Consulting? 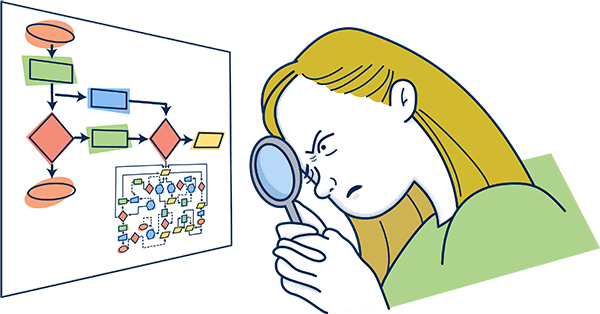 Definition – What is a Process Map? Definition – What is Process Variation? Definition – What is Process Consistency? ← Definition – What is Business Process Engineering? Tallyfy » Blog » Process Improvement » Definition – What is Process Consulting?